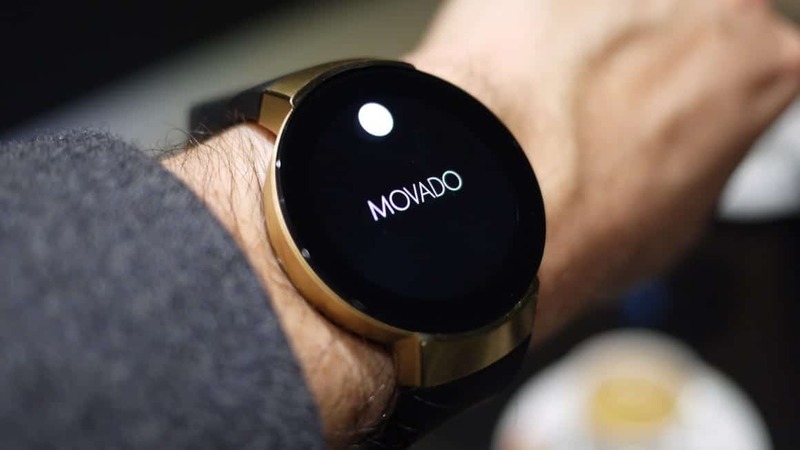 Movado, a native name in the watchmaking industry, has come up with another new smartwatch called Movado Connect. It is the first Android wear by the company although not its first smartwatch. The company is known for making fashionable watches and also its unique design. The Movado connect unveiled earlier this year at Baselworld 2017 as well as other smartwatches. One of the most popular Movado’s smartwatches, the Museum Watch has been in the collection of New York’s Museum of Modern Art since 1960 as an icon of midcentury design. This is no small feat, so you can understand how important Movado’s new Android Wear is. Unlike the previous Movado Bold Motion smartwatch which was built in collaboration with HP, but now with a proper screen, Movado is now able to try out some feature it was never able to in the analogue version. This includes the watch face which makes use of its logo at 12 o’clock, while the rest of the watch keeps an apparent, slick look. The edge to edge glass confers a unique look to the smartwatch obscuring plenty of bezels underneath when the display is off. The Movado is absolutely one of the most stylish Android wear in the market at the moment and comes in different designs like black, silver and gold lugs with different strap combination. The gold case and lugs have a hyper-modern flare that as a way of attracting the eye regardless of gender. Swiss watchmaker, Movado’s Connect has a multiple watch face feature including ones that mimic its museum watch. According to the firm, Movado has been keen to do the Cyclox watch face since the 1940s but has not been able to do so due to limitations of the watch mechanism. The minute indicator fashioned like the iconic sun logo found in other Movado watches sweeps gently around the edge of the watch face, and the second’s hand is a bar that chases after it. Although it takes some time to get used to, once you are accustomed to this way of checking the time, reading time on other watches will feel foreign and awkward. This is an innovation, and importantly it is taking advantage of the smartwatch feature to implement new and exciting transformation to the normal idea of watches in general whether smart, analogue or digital. Movado is certainly thinking different taking advantage of the flexibility of a smartwatch to bring more thrills to the user experience. Instead of focusing more on shrinking a phone onto the wrist, it is focusing on making the smartwatch enjoyable. On the other hand, the 46.5mm casing means the Movado Connect takes up more space on the wrist without being too bulky with its stylish design. The screen boasts of a 400 x 400 resolution AMOLED display, which is vibrant and a single button at the side of the smartwatch between two microphones for taking calls and talking to Google Assistant. The $595+ smartwatch has no heart rate sensor, GPS nor is it waterproof, although it is water resistant which means you can not take it swimming or showering. However, it features sensors like gyroscope, accelerometer, ambient light sensor, mic, a Snapdragon 2100 processor, Android 2.0, 512MB RAM, 4GB storage, Wi-Fi, Bluetooth BLE 4.1 and 300mAh battery that lasts about a day and takes 2 hours to charge. It also has an NFC chip for contactless payment using the Android Pay feature.